It seems to Maxwell that his life is in ruins. But then he starts to see the magic his tail brings out in him. From then on, what seemed like his biggest problem becomes the best thing in his life. Why, he could be an artistic mouse using his tail to control the paintbrush. Or Maxwell the musician, chef, or athlete! Seeing endless possibilities, Maxwell suddenly realizes that everyone has magic, but sometimes they have to search to find out what it is. 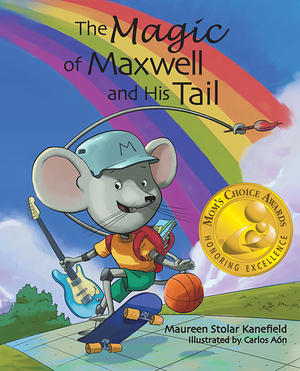 Children will cheer for Maxwell as he finds that being different is not only okay—it’s part of the magic you already have.